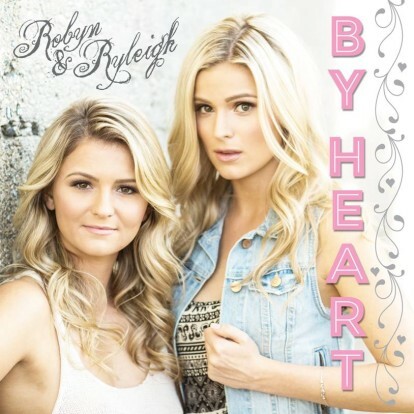 We are so excited to congratulate one of our favourite country sister duos, Robyn and Ryleigh, on the release of their latest album 'By Heart'. They, along with producer Paul Shatto, spent some time with us in the summer to work on this album and we're very excited to share it with you now! By Heart is truly a Western Canadian album, with the majority of tracks recorded at the beautiful OCL Studios a few miles outside of Calgary and another batch of songs were recorded in BC at Studio Downe Under in the rural Fraser Valley, while the remaining vocals and other tracking were done at Raincoast Music in downtown Vancouver under the guidance of Paul Shatto. ... This album also features an eclectic mix of great musicians, including Russell Broom (Jann Arden), Pat Steward (Bryan Adams), Rusty Danmyer (LeeAnn Rimes, Martina McBride), Dennis Marcenko (The Higgins, OMG, kd Lang, Colin James) and Chris Byrne (Roadhammers). Congratulations Robyn and Ryleigh, we hope to see you performing in AB soon! The full Royalty Records press release can be found - here.